I am excited to share with you some great new programs that are assisting homebuyers in the purchase of their home. Please take some time to read the information below and feel free to call me with any questions!! This grant program will assist qualified first time home buyers with a maximum grant amount of $5000 to assist with closing costs or down payment. The home must be located in Clearfield City and must be owner occupied. The Davis Community Housing Authority will be administering Clearfield City’s Down Payment Assistance funds. 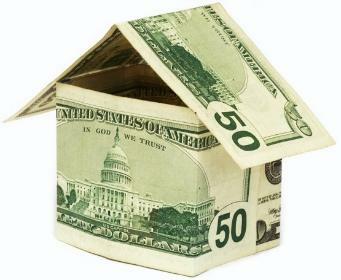 You can access the entire guidelines document at http://www.webernorthdavisrealtors.com/members.html. This program is an Ogden City program designed to increase home ownership in specific targeted neighborhoods. Persons buying primary residence homes in the overall Own in Ogden target area can qualify for a $3000 zero interest, deferred payment, declining loan to assist with that purchase. Specified target neighborhoods receive $5000 loans. Income qualified, sworn Ogden City Police Officers and Ogden City Fire Fighters receive $10,000 loans when buying a primary residence within the overall target area. To view the entire program guidelines go to http://www.WNDAR.com on the front page, right navigator there is a link. Thinking About Paying Off Your Mortgage? For most homeowners, each month means another mortgage payment. However, it may be prudent to consider a slight alteration to the routine. By adding just one extra payment a year, borrowers can cut thousands of dollars in interest and shave several years off the life of their loan. Depending on your situation, paying your mortgage off early can reap tremendous benefits. Whether it is paying more now to preserve your retirement funds or simply reducing the amount of interest you pay over time, there is likely a way for you to significantly benefit. If your ultimate dream is to pay off your home mortgage, consider your options. Take a realistic look at your current financial situation. The most important thing to do is reduce your debt. Once accomplished, consider the many ways to accelerate your mortgage payoff. Splitting up biweekly payments allows you to make 26 payments (one extra full payment) a year, which gets you closer to paying off your mortgage. Transfer your biweekly payment into a separate account, and then withdraw your monthly payment from the same account. Gradually, an additional monthly payment will accrue, plus you will earn interest on the account. Squeeze any additional money that may fall your way (work bonus or tax refund) toward your goal of paying off your mortgage. Be sure to specify that the payment is to be applied to the principal, not future payments.